For mothers who do not smoke during pregnancy, secondhand smoke may prove just as dangerous to the health and growth of the fetus, according to a new study published in BMC Public Health. The study, completed by researchers in Saudi Arabia, shows significant growth reduction in infants born to mothers exposed to secondhand smoke. 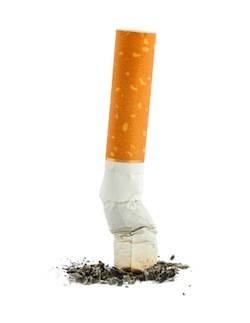 Researchers evaluated effects of secondhand smoke using a retrospective cohort. About 30% of the cohort was made up of women who admitted to being exposed to secondhand smoke during pregnancy. All pregnancies included in the study were carried to term. Newborn length and weight in the secondhand smoke group were compared to the control participants. Infants born to mothers exposed to secondhand smoke were shorter (0.261 cm) and weighed less (35 grams) than infants born to mothers who did not report coming in contact with secondhand smoke. Researchers revealed that most women in the exposed group were less educated and younger, but details about prenatal care were not revealed. Source: Wahabi HA, Alzeidan RA, Fayed AA, Mandil A, Al-Shaikh G, Esmaeil SA. Effects of secondhand smoke on the birth weight of term infants and the demographic profile of Saudi exposed women. BMC Public Health. 2013 Apr 15;13(1):341.